Silica Ware was established in the year 1968 under the leadership of Dr. S R Lele who was a world renown Glass Technologist and also the Founder & Chairman of M/s Borosil Glass Works in India. The Company was started as a manufacturer of Laboratory Glassware custom made laboratory apparatus & instruments with an aim of import substitution. 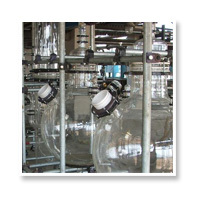 Our products include spectrum range of Glass Equipment, Laboratory Glassware Apparatus, Chemical Process Equipment, Rotary Evaporator, Ratavapours, Heat Exchanger, Shell and Tube Heat Exchanger, Teflon Lined Components, Rotameters, Scientific Equipment, Sight Glass, High Pressure Reactor, Bulk Drugs & Fine Chemical Equipment, Vacuum Gauge and many others. 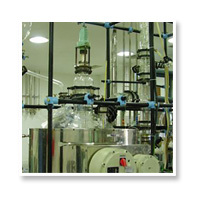 We have been of Yeoman Services to the Chemical & Pharmaceutical - Industry since our inception over the past 50 years. With result oriented approach and massive resources, we are the right source for your requirements.